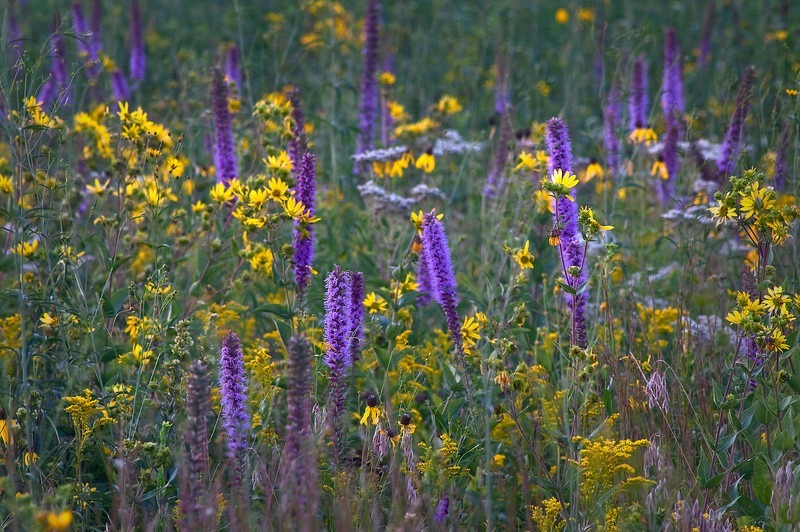 Golf Course Mix is blended with native annual and perennial wildflowers that add fantastic color to roughs and attract pollinators such as butterflies and hummingbirds that will put on a show and delight your patrons. It is suitable for areas near tees, pathways, greens, lakes or around the clubhouse. 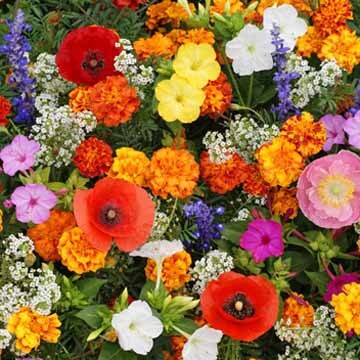 Annual Phlox, Arroyo Lupine, Eastern Columbine, Four O’Clocks, Gayfeather, Giant Columbine, Lemon Mint, Perennial Lupine, Rocket Larkspur, Rocky Mountain Penstemon, Scarlet Sage, Spurred Snapdragon, Sweet William Pinks, Tussock Bellflower and Wild Petunia. Planting Rate: Golf course rate 20-25 lb per acre, landscape rate 4-8 lb per acre, 1 lb per 4000 sq. ft.
Special Instructions: Plant golf course seed mix on prepared soil. Use harrow to scratch surface well, then lightly till before putting seeds on seed bed surface. Then drag the area with harrow tines down to push seeds into soil, or put a light layer of sand or vermiculite or weed-free straw over seeds. Keep watered 3 times per week. DO NOT COVER SEEDS WITH SOIL, need light to germinate! Grows Well In: Southeast, Midwest, Northeast, Northwest, Southwest, Texas/Oklahoma, Western Regions and Canada. 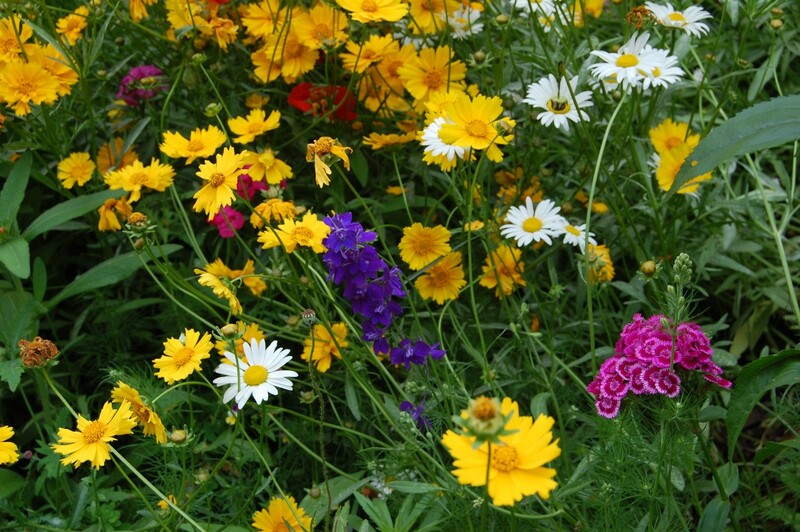 Low Grow Wildflower Mix has many diverse uses in urban or home landscapes. 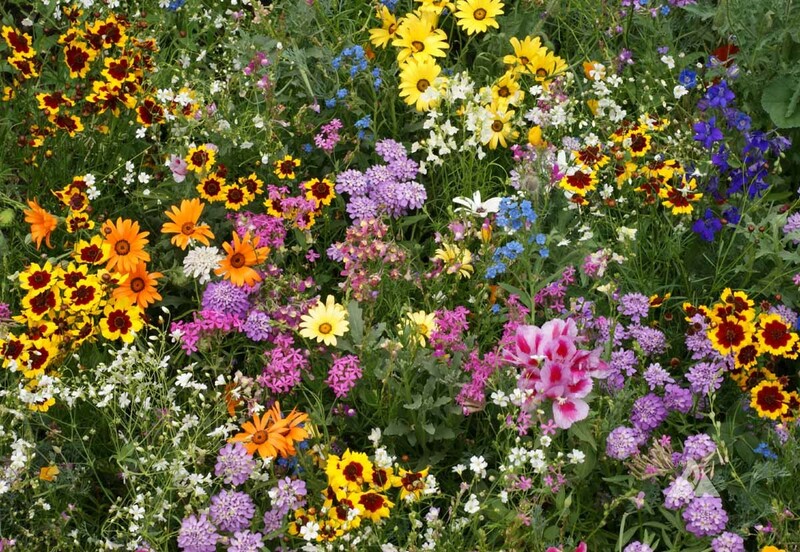 Low Grow Wildflower Mix stays below 16 inches, as it sways in the spring and summer breezes. Great for golf courses, driveway approaches, adorning low retaining walls, fences or areas you’d rather not mow. Also ditches and sunny border beds. 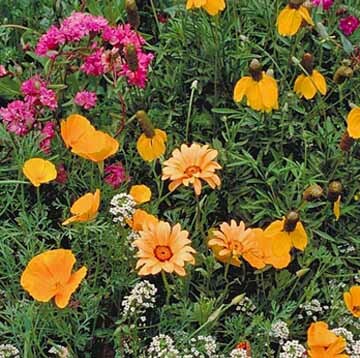 Little Bit Shady is our signature wildflower mix of annuals, perennials and biennials that’s specially formulated to fill lightly shaded, partial-sun areas with beautiful blooms throughout spring and summertime. Some are North American natives, some are naturalized but not native. 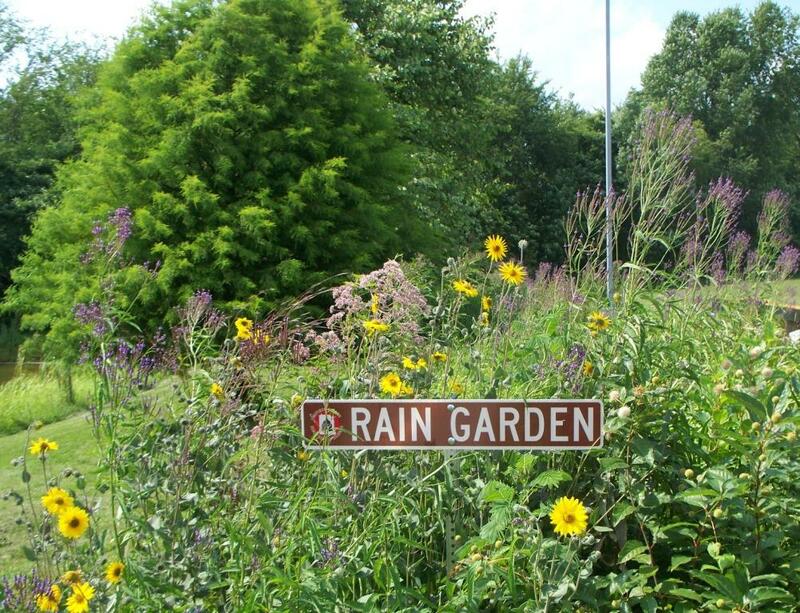 Great for driveway approaches and public beautification projects!